Charles Green will push for his newco Rangers to play football at the highest level possible after his application for entry to the Clydesdale Bank Premier League was consigned to failure more than a week before a vote. Inverness, Aberdeen and St Johnstone on Monday joined Hearts, Dundee United and Hibernian in confirming their intention to reject Green's application to acquire Rangers' share in the competition next Wednesday. Fans who have pledged money for community ownership schemes at Motherwell and St Mirren are almost certain to vote against a newco too in consultation exercises, leaving Green with no chance of securing the 8-4 majority needed and prompting him to seek talks with the Scottish Football League. Discussions have been held at the top level over putting Rangers into the Irn-Bru First Division amid wider changes to the structure of the Scottish game but SFL clubs would have to approve such a measure and Falkirk have already objected. Green told STV: "I always want to play at the highest level and that's why we made an application to join the SPL - and whether you're a player, whether you're a fan or whether you're a director of a football club, you always want to see your club playing at the highest level. "But cream always floats to the top and this club will come back and it will come back at the top - make no mistake." Some Rangers fans see starting at the bottom of the SFL as the right thing for the club but Green does not share their opinion, and he said: "Well, of course, I accept that that's a view but what we also have to look at is Scottish football is driven by two factors: Rangers and Celtic. "And the income drivers, the generation, the media, the marketing is all about two clubs, and really I think what we have to do is start looking now at what's best for Scottish football and we all have to now unite behind the club and make sure that the decisions we take going forward achieve that result." 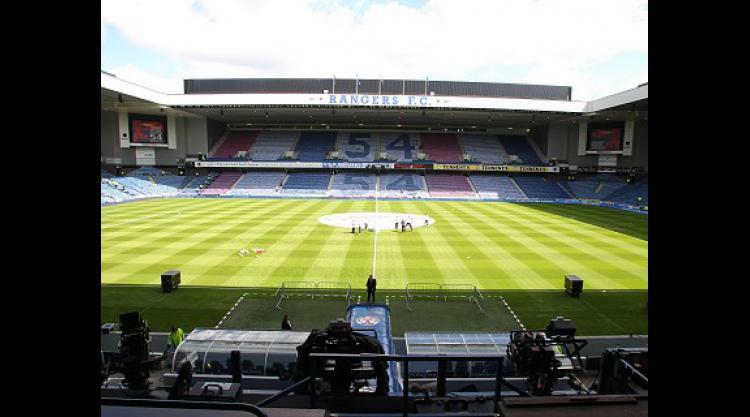 The issue is complicated by uncertainty over Scottish Football Association action, with an appeal hearing due against Rangers before Green bought the club's assets and business. "There are sanctions that could withdraw the club's ability to play," Green said. "Part of my job is to work through the issues and make sure we're playing football and we're playing football at Ibrox for many years to come."